We’re talking about matters of the heart – the kind of character our Godly mothers, grandmothers, and great-aunts demonstrated…that we learned and want to pass onto to our children and grandchildren. …which takes us to the last character trait to consider…for us in this generation, and for generations forward (when we will be considered vintage…but God isn’t). No matter how old we are, we have people in our lives who are constant. They are those we count on; those who always show up. No. Matter. What. They are faithful to God and faithful to us. Let’s just take a moment to think, even looking around us, at some of those dear women in our lives. Let’s remember those who aren’t with us anymore but who taught us how to be constant in our love and in our lives. When we lived overseas, we were daily reminded of how only God could work the miracles that must be worked for people to receive the truth of the Gospel. Our neighbors were steeped in a very different worldview. They saw Jesus as a good man but the Saviour. The fact that we desperately need Him to restore us to a holy God was foreign to them. Every day…every single day…God called us to show up with His love and His word…in those places and for those people. That constancy was tested every day because it would have been so easy just to stop showing up. God has already promised us that His purposes are not thwarted; He will complete His work; He will finish what He started in us. God calls us to keep showing up…following His example in our own lives. This is how we get to “Well done, good and faithful servant” (Matthew 25:23). By showing up, time after time, with whatever gifts we have. We don’t have to be rockstars of any kind…we have a God who equips us to be exactly what is needed in any situation. Our constancy radiates His greatness. We can count on Him. A few years back, I discovered a Christian sister, by the name of Kara Tippetts. We never met but she wrote in her blog in such a way it was like receiving a letter from a dear friend. She wrote about her walk with God through a relentless cancer. Over the course of her diagnosis and treatment, she adjusted to a very different life. However, she continued to show up. For her family. For her friends. For all of us who watched for every report of her life and how God met her each step of the way. She modeled showing up…and emboldened those in her life to show up for her…in all that hard. Just shy of her 40th birthday, she finished her race and went to be with the Lord. Leaving behind 4 sweet children and an adoring husband. It was both terribly sad and gloriously beautiful. In the last months of her life, she managed to write three books…three books!!! The last one was a dialog between her and her friend, Jill. By that time, it was all Kara could do to show up, the disease had so done its ill. Completely cared for by God Himself. He is faithful. His infinite capacity fills our small hearts; His perfect love magnifies the care we offer to others, His steadfastness gives us what we need to be constant. In His strength and love, we become the women of that adage: “When her feet hit the floor, the Devil says ‘Oh no, she’s up!’” The evil one battles with us to fail…but we will not, with our eyes on God. From Genesis through the whole of Scripture, we see the word “shield” and that God is our shield. Against any evil. When we take God seriously and put our lives wholly in His hands we become a force to reckon with – whether we’re 14 or 50 or 82. We will experience attacks from the evil one – he doesn’t want us to be successful as Christ’s image-bearers. We may even take friendly fire from other believers. It happens, and sometimes the enemy is us…but God take what was meant for evil and make it for good in our lives. We have His promise. “God graciously showed me this several years ago while I was in the midst of an intense, three-year spiritual battle on behalf of a client. One night, David (not his real name) called me on the phone at three in the morning, in the midst of painful spiritual torment. We talked and prayed and I began to read from the Psalms. Finally, I could hear by his deep breathing that he had fallen asleep. As I lay on my dining room floor…something wonderful and strange took place. When we live with capacity for Him, caring for others, and constancy in being there, we may, at times, come under attack, but we will never be alone. No matter what your situation…even when you feel God has been “too quiet” in His love…or you have been waiting such a long time for something…God’s love is constant, trust in that, and God is in the waiting, with us, Dear Ones. 10 days ago was the last time I posted a blog until right now. It was the day of my surgery. My surgeon decided the time had come to lay to rest exactly what was this little nodule – this incidental finding that has persisted now 6 months. He assured me that it is either “nothing or early”. Hours later I would discover that it wasn’t nothing but it was early. Stage 1 cancer. He did that “gold standard” surgery to remove what was necessary to lead to cure. Now my job is to heal…from the reality of the diagnosis and the protracted recovery time (from days originally to weeks/months now). This week’s Friday Faves relate to these days of recovery thus far. It’s an open letter of thanks for the great and many graces of God through all those He brings across our paths in times of pain and weakness. I have been much changed by this experience and by the kindnesses given to one unable to give back. Thank God. Thank God for you. 1) Cheerleaders and Caregivers – What would we do without those persons in our lives who step in, extend a hand, share a truth, or just steady our particular rocking boat? My close nurse friend, Kathy Visneski, coached me through this recovery business, from her vacation on the beach. She didn’t have to…that’s just who she is and what she does. Over the last 10 days, I have had so many strangers, friends, colleagues, neighbors, and family members come near in this experience with me. It’s reminded me of Kara Tippetts‘ book Just Show Up. We all bring different giftings, different strengths into this arena. In particular, Dave, this husband of mine, has juggled well his work, his chores and mine at home, and all the many extra demands that recovery has made on both of us. Thank you, Dave. Thanks, Kathy. Thank you all. 2) Glimpses of Beauty Beyond the Pain – I’m not a “cut flower” kind of woman. They seem so extravagant…that is, until the day comes, when pain stabs you through the chest and you don’t want to get out of bed. Then a bouquet of irises, roses, and hydrangea show up from a friend states away. She said, in the card, that she knew the irises would remind me of my mom and would be an added comfort. She was right. Other flower arrangements would follow and would turn our living room into a quiet garden where I would begin healing. Beauty to rest my eyes. 3) Words Fitly Spoken – “A word fitly spoken is like apples of gold in a setting of silver.” – Proverbs 25:11 We sometimes silence ourselves for fear of not saying the right thing or not knowing what to say. My bias is that lots of grace should be given those who try to fill the awkward places between people with whatever words they can find. For me, words haven’t come so easily in these days of dealing with a cancer diagnosis, even caught in the earliest of stages. I’ve had some of the kindest words spoken over me in these days. One friend, visiting shortly after I came home, said something like, “Debbie Mills down?! No way!” It was my sentiment and confusion exactly. I’m fairly tough, resilient. This surgery and aftermath have humbled me in such a way as to remember that “when I am weak, God is strong in me”. We want to be able to say that to others in need…living it is a whole other thing. I’m discovering the faithfulness of God in a way I would never have sought out before. Along with all the voiced encouragements, I’ve received some beautiful cards. How kind of people to still go out and search for an appropriate card and either take the time to drop it by or send it in the mail to arrive providentially. The card below came on a hard day when recovery seemed to be going very slowly. It was perfect. 4) Comfort Foods – A side effect of the pain and weakness seems to be this loss of appetite. Never before have I just not wanted to eat anything… Nothing sounded good. Not even my daily cup of coffee delight in the morning. I’ve lost 8 pounds since surgery. Then one night this week a friend brought over a chicken almond casserole. I ate some in a little bowl, nestled in my “sickbed”, and it was actually very good. Since that night, my appetite has been coming around. Yesterday, something made me think of Biscoff cookies, a crisp spice cookie offered to travelers on Delta Airlines. I told my daughter and she remembered some she had in her cupboard, a gift from her mom-in-law. She brought them over, and this morning, I had my first full cup of coffee with two of these lovely cookies. Returning to normal. 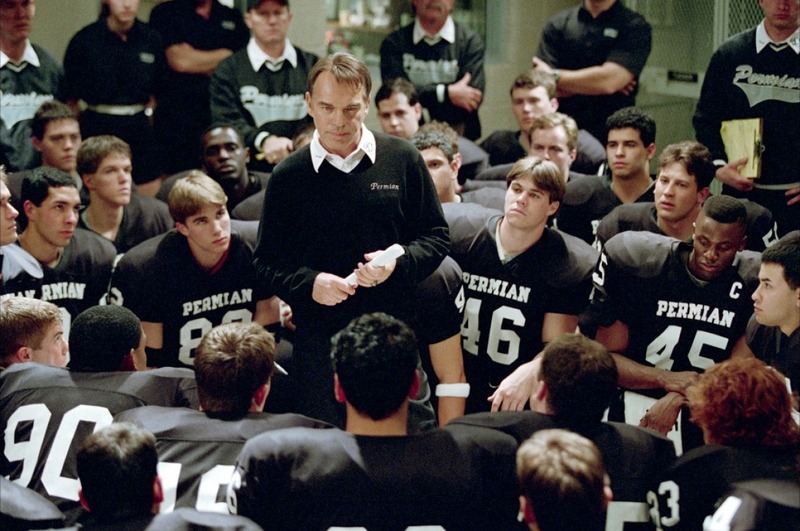 There is another YouTube video of the Top 10 Sports Movie Speeches. Sure these speeches aren’t always full of truth and all are colored by the pop culture of that film setting. Still, when you are down and not sure what it will take to get up again, inspiration is a very good thing. [Honestly the most inspirational, deeply resonate “speeches” were spoken by Jesus to his followers in strange and stretching situations. I am one of those…inspired by Him now.]. I’ve been writing all my life. Keeping a journal has been a source of joy and sanity for many of those years. Once when we were overseas, I was encouraged to keep a Joy List – a list of the simple things that just gave me joy. It’s still a joy to add to that list as I experience more of God’s kindnesses in His creation – people and places, stuff and such. This is going to be quick. In a few minutes, I head to the airport to visit my Dad. He is such a delight to me…even with Alzheimer’s, he’s funny and thus far still loves life and family and food. He still prays which is a blessing to him, I’m sure, and to all of us. Anyway, I want to come back to this topic another day. For now, for you who show up for each other, what a joy you are! How grateful I am for you – in my life and in the lives of those I love. You may think it a small thing, a usual thing, but it’s not. Marilyn Gardner wrote on this topic in her blog, and I found it this morning while researching the phrase “just showing up”. She expressed it so well. I also want to recommend a book by Kara Tippetts entitled Just Show Up (see link below). She wrote this with a friend, Jill Lynn Buteyn, who, with others, “showed up” as Kara was living with cancer. She is with the Lord now but has left such a beautiful legacy in her life and writing.